(TBILISI)--Georgian Non-Governmental Organizations (NGOs) believe that the State Security Service (SSS) requires systemic reforms as many of the body’s current functions are boosted. NGOs, security experts and representatives of diplomatic corps held a joint meeting yesterday to discuss the SSS-related issues and elaborate the recommendations for the government of Georgia that would be used in the process of reforming of the state agency. 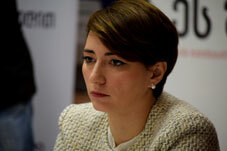 Eka Gigauri, executive director of the Transparency International Georgia, said that it is very important to take clear steps to reform the State Security Service, as the agency has problems in several directions, including legislation. "The legislation has gaps both in terms of functions and supervision. Today we see that the State Security Service has much power and in fact, some of these powers are unknown to the international practice, including the anti-corruption investigation,” Gigauri said. 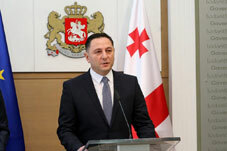 Gigauri stated that when the Ministry of Internal Affairs and the State Security Service were divided, the public was told that it was the first step and the reform would continue in the field. “But we have seen no reform yet,” Gigauri said. The State Security Service of Georgia is now defined as a secretive militarized government agency of Georgia, which covers a broad spectrum of tasks to preserve national security in accordance with state legislature and relevant laws. Its missions are to protect the constitutional order, sovereignty, territorial integrity and military potential of Georgia from illegal acts of special services and individuals of foreign countries; to prevent violent and unconstitutional change of order and state authority. The service is to ensure economic security and fight terrorism on national and international level, transnational organized crime and international crime as well as carry out measures towards prevention, detection and suppression of corruption. It is also responsible for protecting state secrets. The newly established independent agency is a former subordinate branch of the Interior Ministry, active since 2015.